Finding new owners for my old books is something I've done before. In 2006, while waiting for my disability retirement to be approved, I sold some of my old books just to help pay the bills. In the months to come, I will try to find new owners for some of my old books just to make it easier for friends and family to dispose of my books after I am gone. I will sell some of my books now. 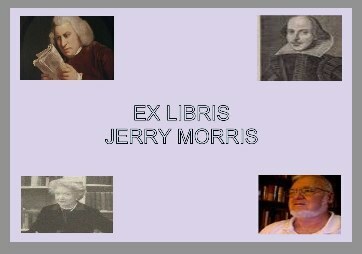 And I will research and identify potential buyers of some of my other books. These potential buyers will be contacted, hopefully "at a much later date," and offered the books I think they might be interested in acquiring. Among the books to be disposed of at a "much later date" will be the books that have been given to me, which are part of My Sentimental Library Collection. What books will I be selling now? My First American Edition of Shakespeare's Works; my Poetry books; my History books; and a few selected author collections. 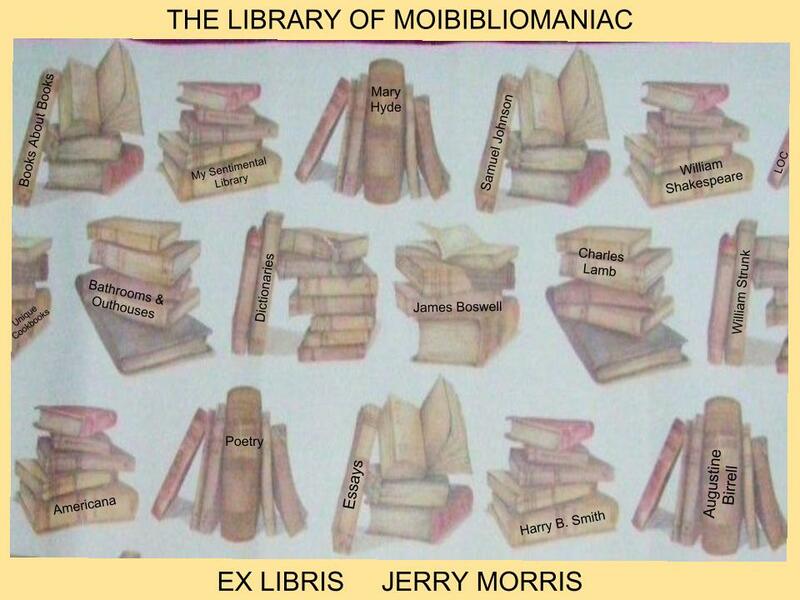 But I am prepared to sell my Books About Books by sub-collections (bibliography, booksellers, etc.). What I will not do is list my Books About Books individually on eBay. My Mary Hyde Collection will be sold en bloc at a later date. And I have a potential buyer or two already listed. 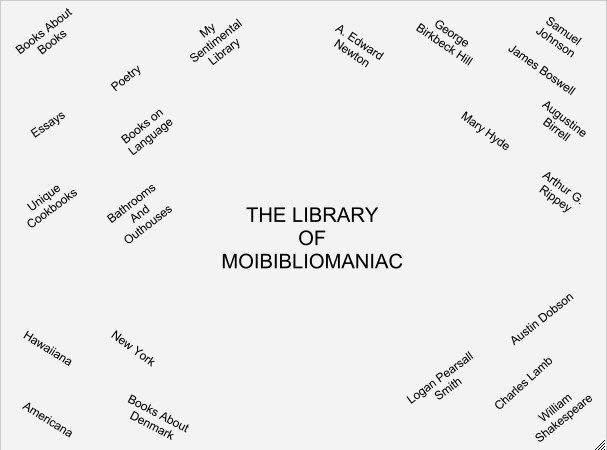 If you are interested in acquiring some of my books either now or at a later date, please contact me: moibibliomaniac at gmail.com. 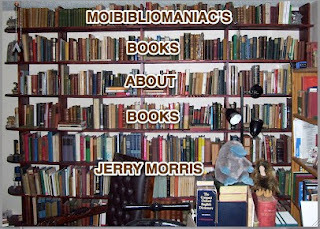 And if you want to find this blog post again, just go to moibibliomaniac.com, and the World Wide Web will point you there. When a very close relative died suddenly in his sleep last October, it got me thinking that I should make plans for the disposition of my books. I've seen it too many times. A book collector dies, leaving his wife with shelves and shelves of books she doesn't know what to do with. She contacts a local bookseller. He comes, cherry-picks her husband's books, goes on his merry way, and leaves the widow with the task of getting rid of the rest of her husband's books. I have also seen it where a bibliophile makes arrangements with booksellers or fellow book collectors to help his wife dispose of his books after he is gone. This, of course, is better than the first scenario, and one that I am making preparations for; but with several exceptions which I will discuss in my next blog post, "On Finding New Owners For My Old Books." Last November, I queried a noted bibliophile, and he gave me some excellent advice on what to do, and what not to do in preparing for the disposition of my books. But before giving me his advice, he wrote, "Don't worry, nothing's going to happen to you for a long, long time." The next month I almost died. It all started with a stomach virus while visiting our grandchildren in Texas over the Christmas holidays. Everything, including my heart medications, went right through me for three days. It was a double whammy of what came next, the chicken or the egg. In my case, was it the pneumonia that worsened my COPD and woke me up gasping for air early Christmas morning? Or was it the silent heart attack I suffered that kept my oxygen level below 65%, even after several breathing treatments in the ambulance before being transported to the hospital? It is hospital protocol to pump the patient full of Lovenox (a blood thinner) in the event of a heart attack. That helped my heart, but it made my lungs bleed. I was drowning in my own blood the next day. I couldn't breathe. They intubated me. My oxygen level tanked down to 30%. My heart was beating erratically. It was the chicken or the egg again. If they stopped giving me the blood thinner, would my lungs clear before my heart stopped beating? "Notify the rest of the family," the doctors warned my wife and daughter. They stopped giving me the the blood thinner. My lungs cleared. My heart kept on beating. Ten days later, the cardiologist performed an angioplasty and cleared the 90% blockage of one of my nine stents. I am now alive and well and back in Florida, and making preparations for the disposition of my books.